✦ All the available Character Clothes in the in-game marketplace will have a Discount of 25% during this weekend! ✦ Smallville PVP Map is back! This old PVP map will be back in the PVP servers with the "High Jump" activated on it. ✦ 25% Extra GC on the 100€ Package: You will get 25% extra GC while buying the 100€ package on https://playnewz.com/buygc.php This package also includes the lifetime premium feature! ✦ XP based Reward! You will earn the legacy spray "The New Z" after farming a special amount of XP: 15,000 XP for Survival Mode OR 150,000 XP for Open World mode! 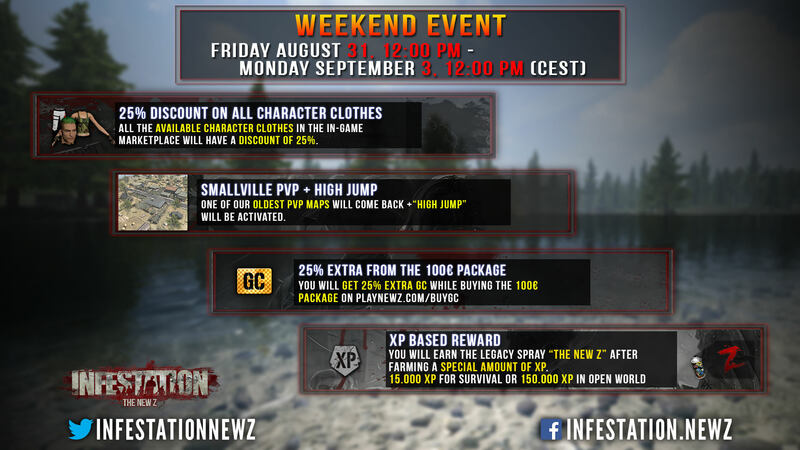 You need to farm/get a minimum of 15.000 XP in Survival OR 150.000 XP in Open world to get this weekend event reward. 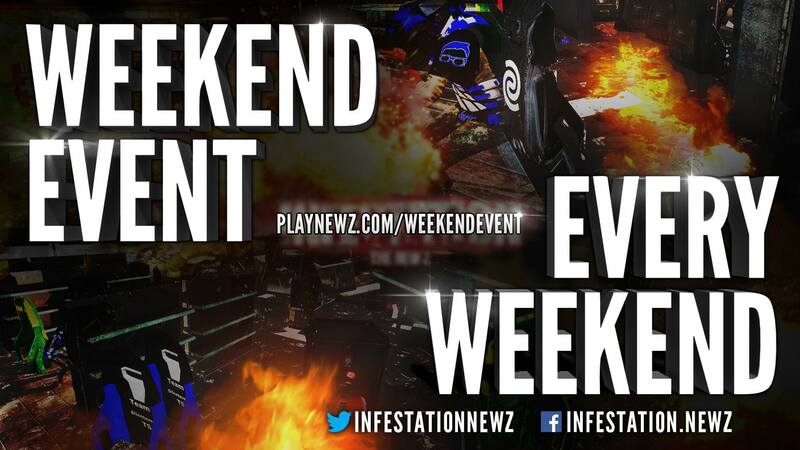 Keep in mind, we will reward players AFTER the weekend event. Good luck! Wieso was ist passiert? Kommt eine neue Staffel Elfenlied ? YOU CAN EARN THE LEGACY SPRAY "THE NEW Z"
#back skinsbox being born on the map and double xd/gd! Excitement because I don't have that spray lololol! Haha alright, just making sure. is there a way to track how much XP is left to reach the 150k needed? Not really Good point though!